“The critics? No, I have nothing but compassion for them. How can I hate the crippled, the mentally deficient, and the dead?,” declares Sir, a festering actor-manager of the old school. He’s leading tours of tatty, third-rate productions of Shakespeare to the British provinces during the Second World War and the company he’s got to work with are what he dubs the “cripples, old men and Nancy boys” who are not fighting on the front. 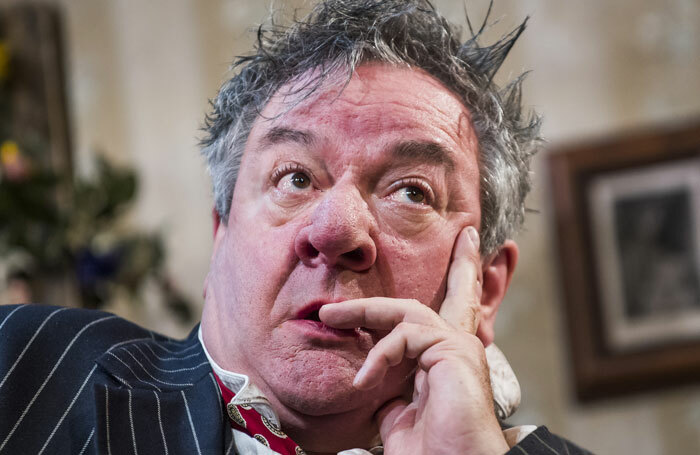 I’ll take the criticism – and the casual homophobia – on the chin though, for the sheer joy and sadness Ronald Harwood’s play can generate. The Dresser premiered at Manchester’s Royal Exchange 36 years ago, before transferring to the West End’s Queen’s Theatre and being made into a feature film in 1983 – for which both of its stars, Albert Finney and Tom Courtenay, were nominated for Oscars. It’s a resonant and still relevant portrait of backstage life, even if the theatrical times it describes recede into distant history. 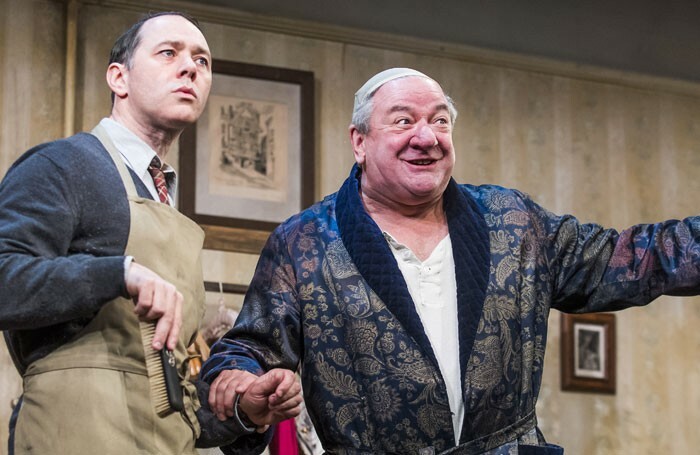 That’s because the monumental self-absorption of its plainly exhausted leading actor – and the single-minded determination of his ever-faithful dresser to make sure the show goes on – is so delicately and humanely charted, both in Harwood’s witty, moving script, and in a wonderful set of performances. 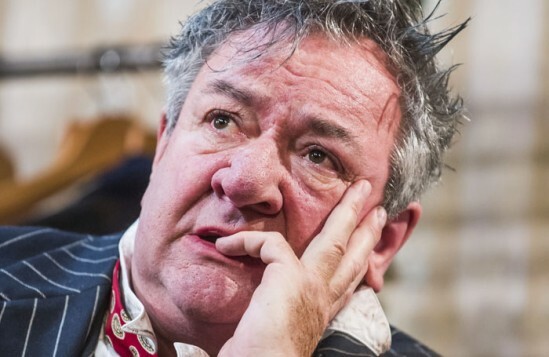 Ken Stott is magnificent as the crumpled heap of a man that Sir has become. Having discharged himself from hospital after collapsing in the street, he has to be cajoled into delivering his 227th performance as King Lear. 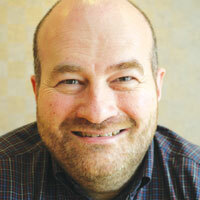 Stott makes his pain, struggle and loneliness palpable. 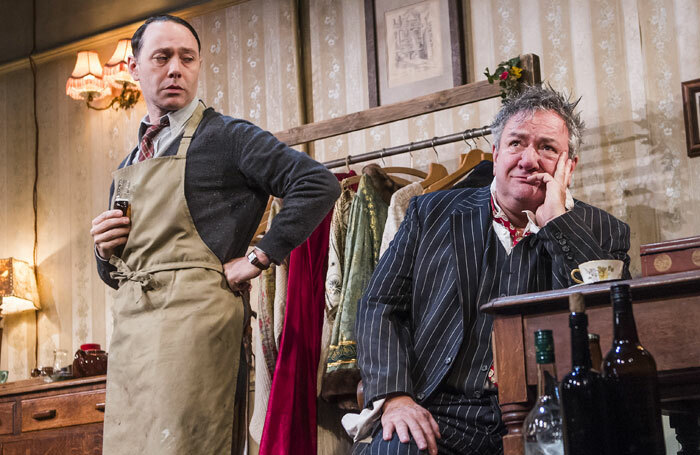 It is no accident however that the play is named The Dresser, and Reece Shearsmith lends his character a sparky, practical determination that contains its own core of sadness – it is a pitiably vulnerable, heartbreaking performance. 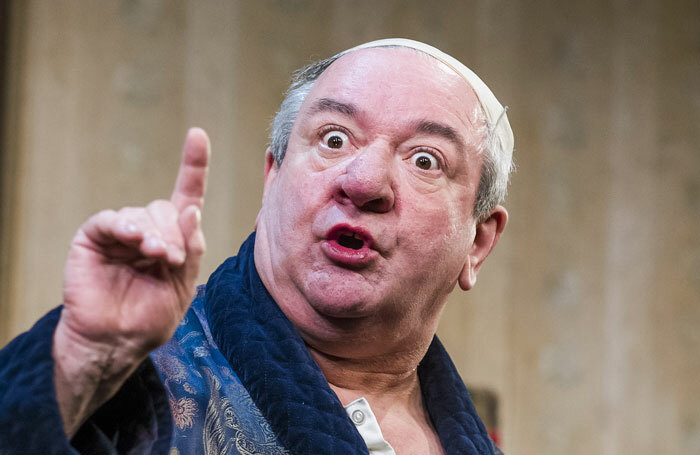 Sir seems to inspire devotion on every side: his leading lady (whom he never married, but calls his Lady Wife), is played by Harriet Thorpe with power and poignancy, too. 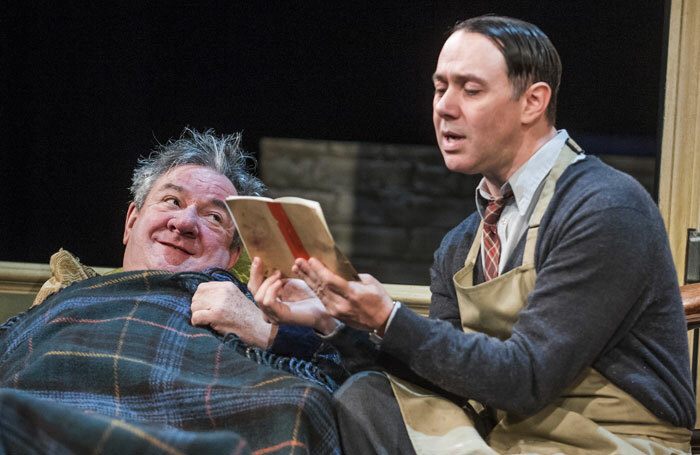 His devoted stage manager, to whom Selina Cadell brings an aching sadness, has spent a life in his service while hiding her unrequited love for him. The ambitious young actress Irene, played by Phoebe Sparrow, is also prepared to put her legs up to get a leg up. There are also some lovely turns by the supporting cast, including Simon Rouse as an older actor content with small parts and Adam Jackson-Smith as an actor trying to get Sir to read his play. 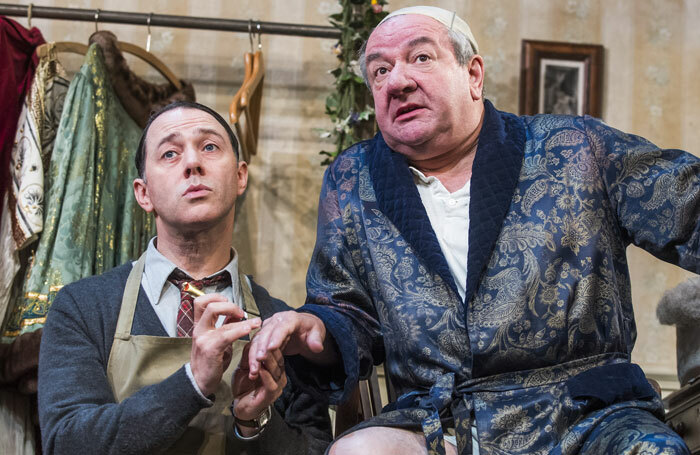 Written two years before Noises Off, The Dresser provides a similar view from the wings, but The Dresser is both more affecting and affectionate in director Sean Foley’s loving production.